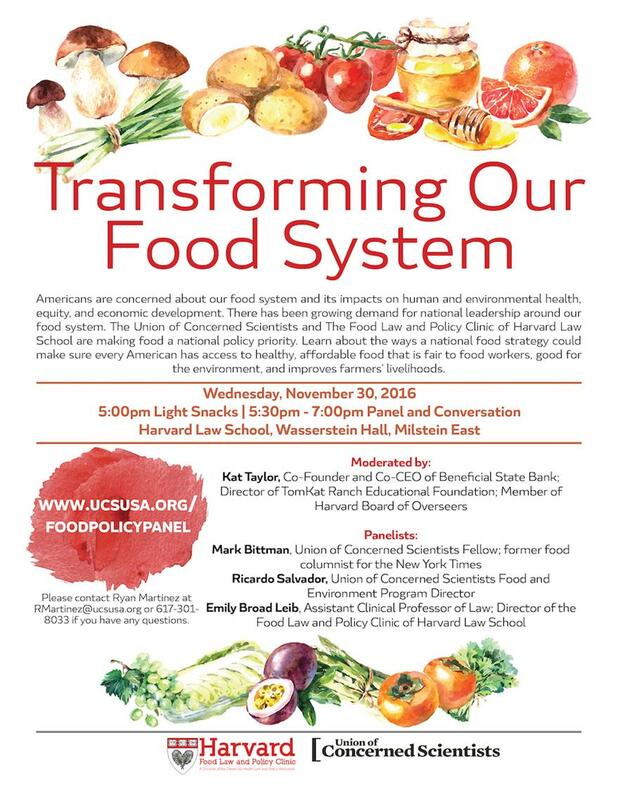 Wed., Nov. 30, 2016, 5 – 7 p.m.
Americans are concerned about our food system and its impacts on human and environmental health, equity, and economic development. There has been growing demand for national leadership around our food system. The Union of Concerned Scientists and The Food Law and Policy Clinic of Harvard Law School are making food a national policy priority. Learn about the ways a national food strategy could make sure every American has access to healthy, affordable food that is fair to food workers, good for the environment, and improves farmers’ livelihoods.